The new Porsche Panamera is undoubtedly a fantastic means of long distance travel. However, if the next border crossing on your journey features a bit more water and a little less tarmac, you’re going to be needing this: the Dynamiq GTT 115 Hybrid, designed in conjunction with Studio F.A Porsche. 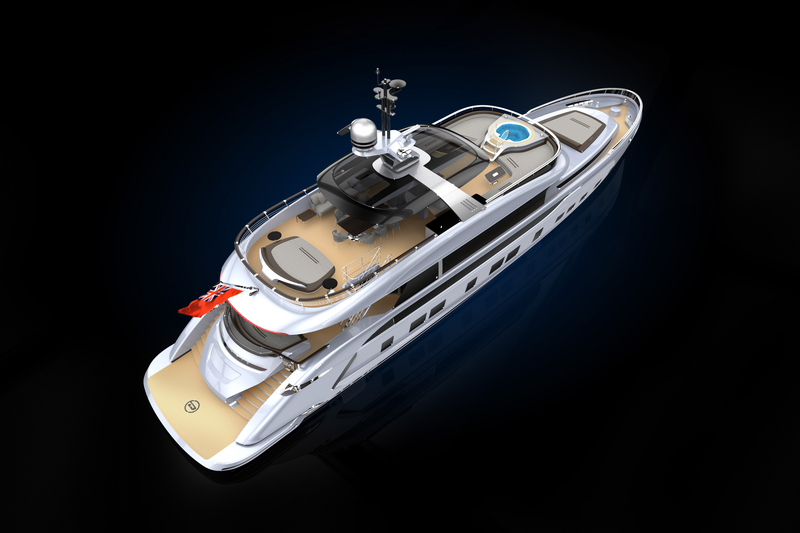 Built in Italy, this all-aluminium superyacht has been styled inside and out by the famous industrial design studio (originally founded by Ferdinand ‘Butzi’ Porsche, designer of the 911) to “take the spirit of high-performance sportscar styling to the high seas”. 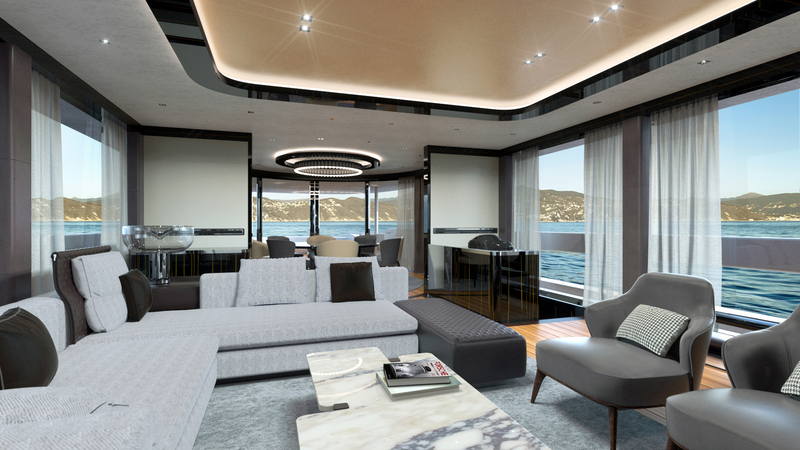 Measuring in at a snip under 115 feet long, the Dynamic GTT – short for Gran Turismo Transatlantic – the yacht can comfortably house six guests across three cabins and ideally needs a further six crew members. 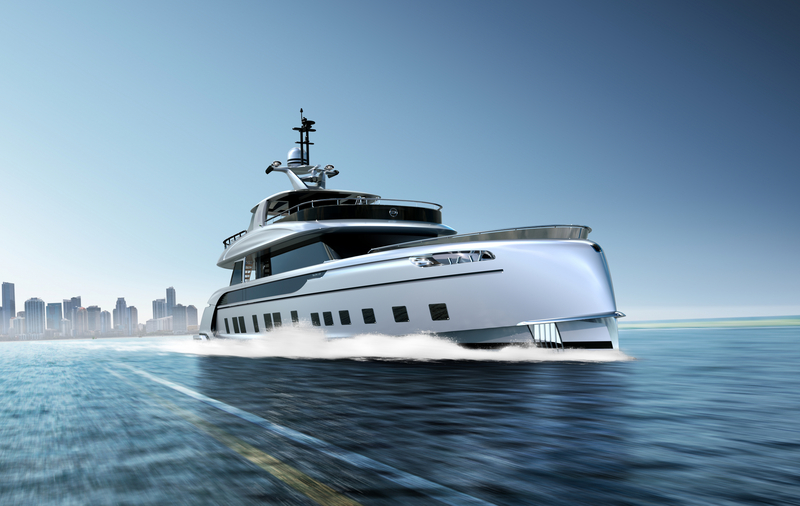 With a range of 3,400 nautical miles, the Dynamiq/Studio Porsche collaboration is capable of crossing the Atlantic too and, with a draft of just five feet) is able to dock safely in the Mediterranean, Caribbean and Southeast Asia. Inspired by Porsche’s current automotive line-up, the GTT 115’s exterior is available in Carrara White, Rhodium Silver, Chalk or a custom Monte Carlo Blue hue, while the deck cushions feature a Peptia houndstooth material that’s remarkably similar to the seat centres in a Porsche 911 R.
Inside, expect to find swathes of leather along with a plentiful supply of carbon fibre trim (just like Porsche’s land-based offerings). Smaller hulled 100 and 85-foot yachts will join the GTT range in the future but, for now, Dynamiq is focussing on its flagship superyacht. Just seven 115s will be made, each with a starting price of €11,900,000 and an impressively short lead time of 15 months. The first in the batch of the Studio F.A Porsche-styled yachts is available for sale now, with delivery scheduled for September.